This lovely little oval mirror is made from rich maple hardwoods. Smooth and rounded on all edges it slips easily from hand to purse or pocket. Measuring 2 ½” wide x 2” tall x ½” deep, it provides a nice mirror image for such a diminutive size. The lid swivels up and out for an unobstructed view of makeup or hair. 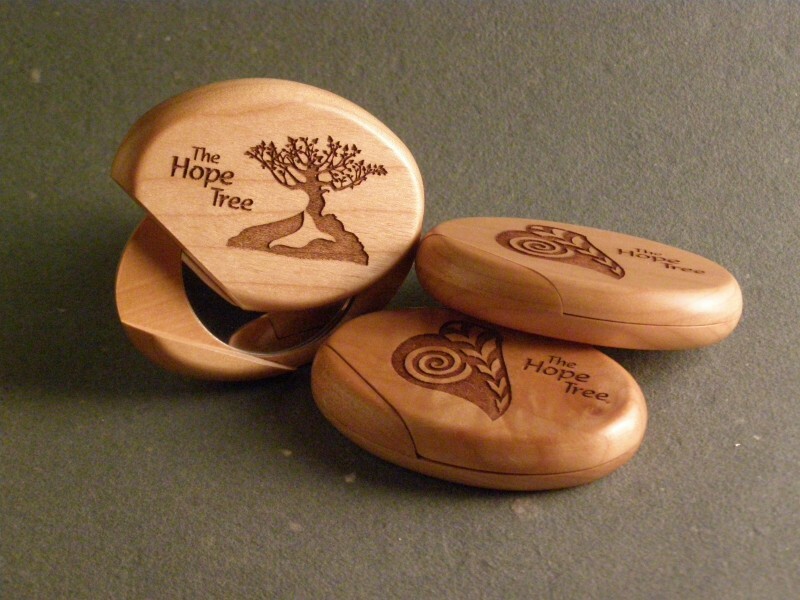 Choose between our trademark Leaf Symbol or The Hope Tree Symbol - both deeply laser etched into the silky smooth surface of the lid. 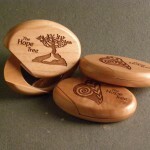 Pleasing in the hand, it reminds us to stay connected to the reflected image of hope.